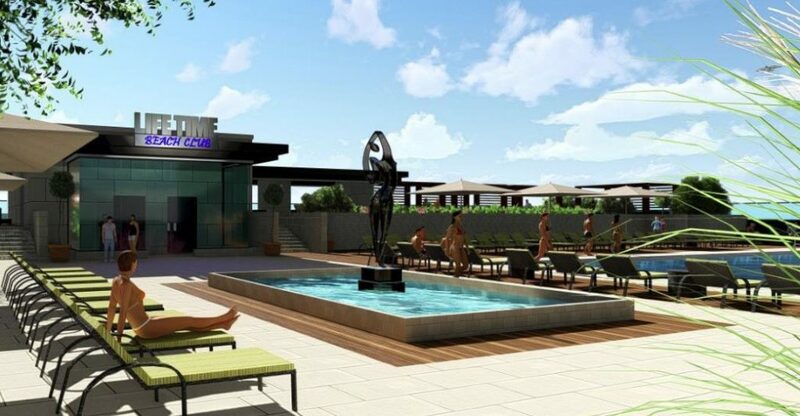 The roof of the Life Time Fitness planned to go in at Southdale will have a swimming pool and deck. No amenities will be spared at the diamond level club. Akradi said the new model of club offers a level of service found at a Four Seasons or Ritz Carlton hotel. The three- floor facility will have a bistro and outdoor pool on the roof, which is expected to be open from spring to fall. Life Time, which will not have an entrance into the mall, is known for including its own assortment of mall-like services such as restaurants, retail, spas and child care. The new location will not take up the entire J.C. Penney footprint. 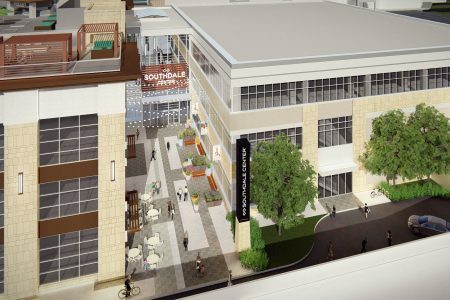 “Some of the space will be an open air pedestrian plaza,” said Michael McCarty, executive vice president of development operations at Simon Property Group, which owns Southdale. Southdale is actively considering more pedestrian and driver-friendly routes on and near Southdale Center. “We’re looking at ways to improve vehicular movement on the inner and outer roads that ring the center,” he said. No pedestrian bridges are yet planned to get people from the nearby Onyx apartments or the approved-but-not-yet-built Homewood Suite hotel and Avenue on France condos. Those projects, along with Estelle condo towers will bring more than 800 new units along Southdale’s perimeter. Restoration Hardware also plans to stake out part of Southdale’s parking lot. The home furnishings retailer plans to build a four-story, 50,000-square-foot store and cafe near the water tower on the southwest corner of the parking lot. The building will have a courtyard and a glass-enclosed conservatory on the top level. McCarty said, if all goes well, construction will start late this year or spring 2018. Its lease in the Galleria across the street expires in 2019. Southdale isn’t Life Time’s first mall project. There is also one in Oklahoma City, but more are in the works. Akradi said he’s in talks with Simon, General Growth, Westfield and other mall developers. Akradi sees mall locations as Life Time’s latest example of being a part of mixed-use lifestyle developments. Southdale is surrounded by an influx of new residences, medical care, restaurants and shopping, all of which contribute to his vision of an environment that is walkable and nearly sustaining. 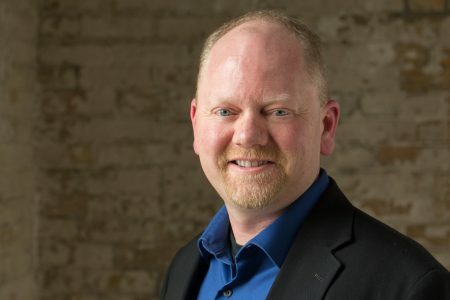 He is also actively involved in Avienda, a development in Chanhassen that includes nearly 500,000 square feet of retail, restaurants, senior housing, office and hotel space and a day care.